The lowest output frequency for the tracking generator (SSA3000X-TG option) output on the SIGLENT SSA3000X series of spectrum analyzers is specified at 100 kHz with an output flatness of +/- 3 dBm. 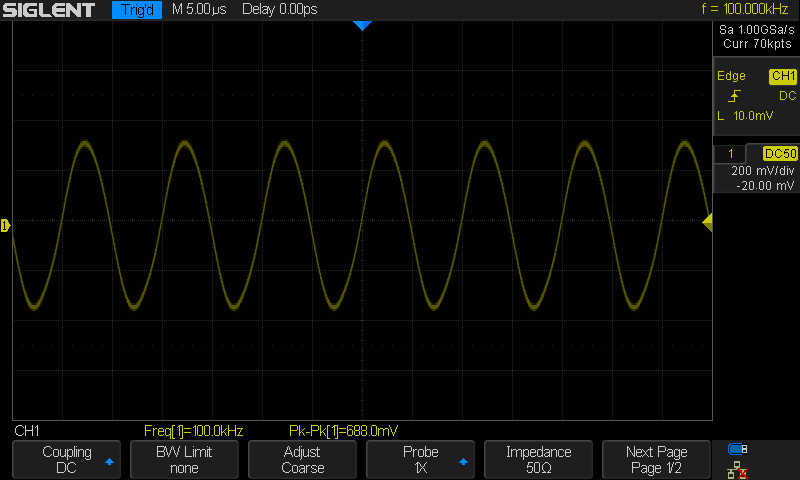 The TG functions below this frequency, but the flatness and accuracy can vary significantly. In this operating tip, we show some typical performance of the TG output below 100 kHz using an oscilloscope. 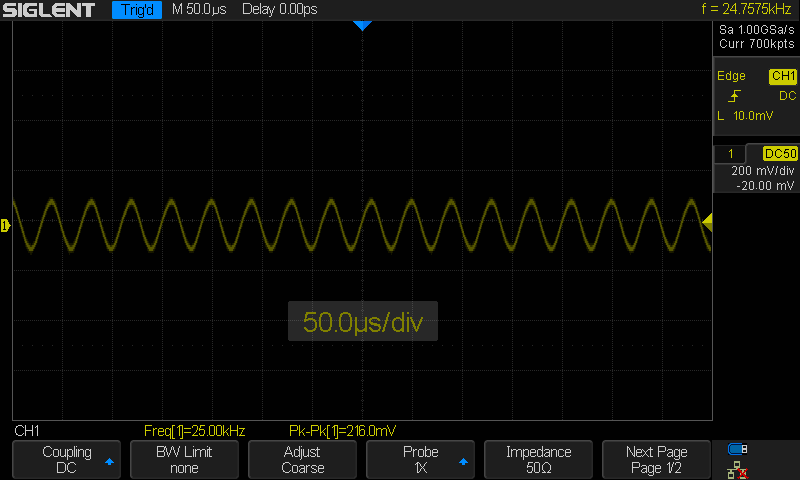 The oscilloscope inputs were configured as 50 ohm terminations. The SSA was configured for zero span, which locks the TG output frequency to the Center Frequency setting of the analyzer. 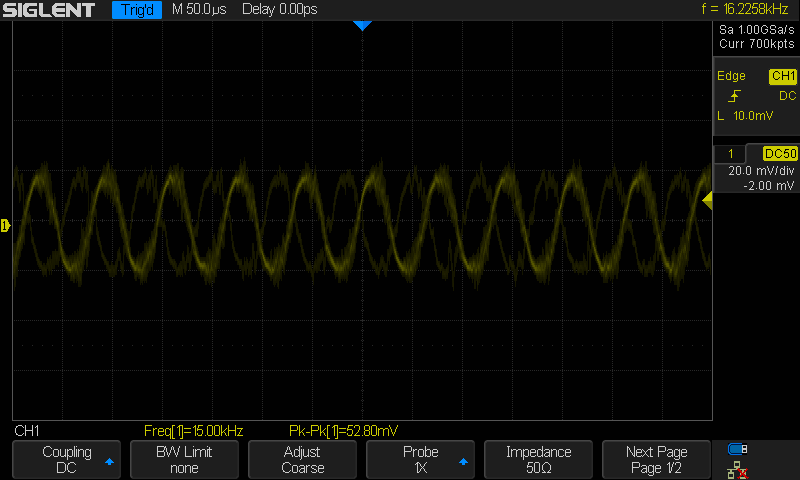 Then, the Center Frequency was adjusted and the oscilloscope was used to capture the output. NOTE: The screen captures are typical, but do not represent all SSA performance. This tip is provided to assist users that would like to use their TGs below the specified operating limits. Below 100 kHz, the amplitude error and noise increase significantly. Be aware that the vertical scale in the figures are not all identical. Figure 1: 0 dBm @ 100 kHz center frequency. Figure 2: 0 dBm @ 50 kHz center frequency. Figure 3: 0 dBm @ 25 kHz center frequency. Figure 4: 0 dBm @ 100 kHz center frequency. Figure 5: 0 dBm @ 100 kHz center frequency.